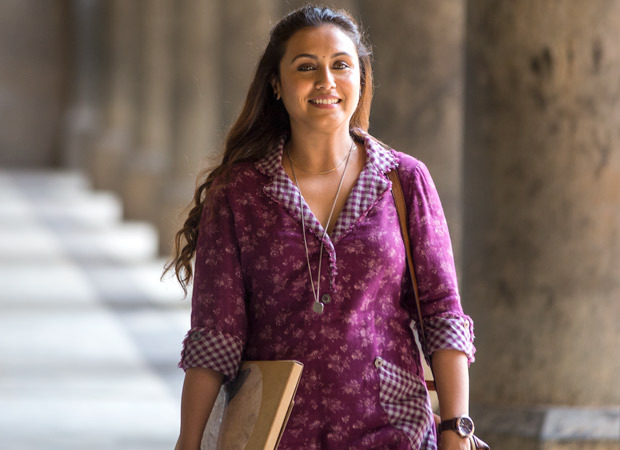 Rani Mukerji starrer Hichki has won hearts of audiences and critics across the globe ever since its release. Rani’s stellar performance as a teacher who deals with an involuntary nervous system disorder, Tourette syndrome, while changing lives of teenagers from an economically backward background, has resonated with the audiences in a big way. Hichki will now reach out to the visually and low vision impaired audiences across India. Through an association with a non-profit organization, Saksham, Hichki will be screened with special audio mastering. Saksham, a Pan India NGO, based in Delhi, focuses on education and technology solutions for the blind. Right from including a narrator for some scenes, these screenings in different Indian cities have been planned with technologically advanced special facilities. Yash Raj Films along with Saksham will be holding screenings in Lucknow, Delhi, Panipat, Jalandhar, Jaipur, Chandigarh, Bangalore, Bhuj, Junagadh, Bhavnagar and Gangtok. The film will be screened with facilities that ensure comfort and convenience for the differently abled. For the visually & low vision impaired, these screenings will be done with a voice over describing the non-dialogue portions of the film. Rani won hearts as well as box office glory with her convincing and spirited performance as Naina Mathur. The film has been winning laurels across the globe as well. The film received a standing ovation at the Shanghai International Film Festival (SIFF) and then at the Indian Film Festival of Melbourne (IFFM). Rani also won the Best Actress award for her outstanding performance at the Indian Film Festival of Melbourne. Can The Nokia 2520 Windows Tablet Win the Legal Market?